Here's a really simple recipe I came across. I decided to do my folding a little different. 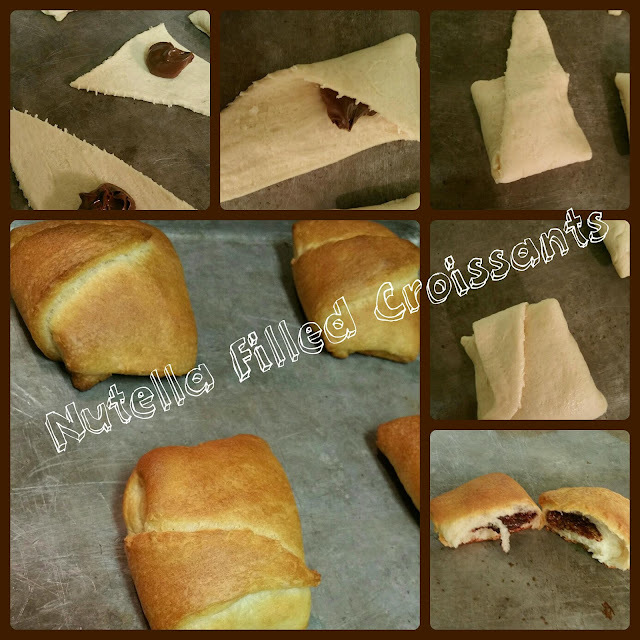 All you need is a jar of Nutella and some Pillsbury Croissants. I put a teaspoon into a croissant and folded it into a square. You can fold it anyway you'd like. I chose a square to make it cute.